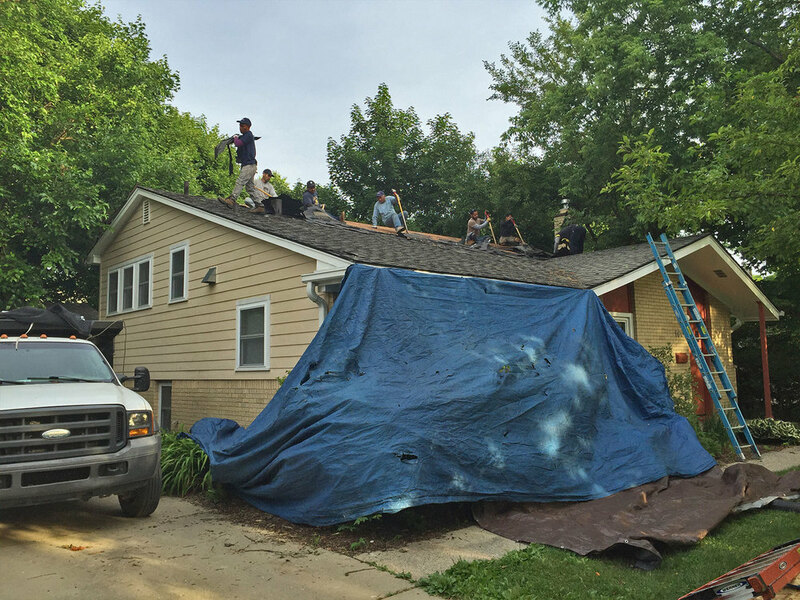 The Neighborhood Roofing crew installed a replacement roof and intricate insulation. This home had mixed areas of cathedral ceilings with improper air flow. 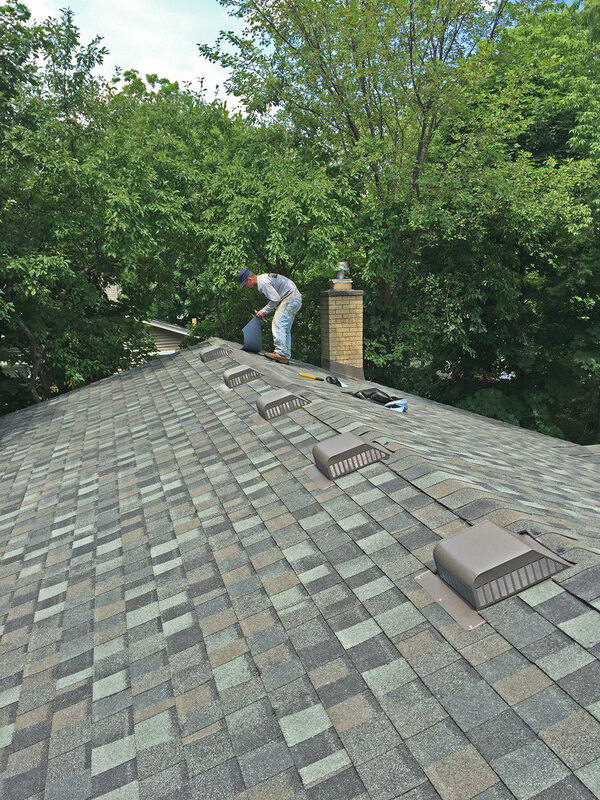 The crew installed insulation baffles (pink) creating a channel for air to flow and to increase rooftop venting. Proper air circulation will prevent moisture buildup that can cause mold to form or ice dams in the winter. They also installed new decking at all access points.